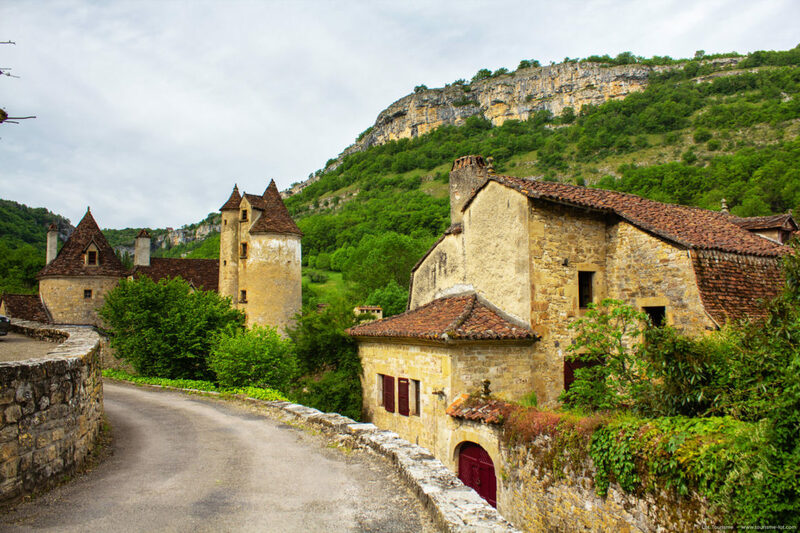 At the bottom of a cirque surrounded by rocky cliffs, Autoire is ranked among the most beautiful villages in France. It offers beautiful homes. Real small castles, these mansions are distinguished by their lofts and towers. Close to the village Autoire stream forms a beautiful waterfall of 30 meters and hiking trails allow you to browse the circus. The cliffs are home to several climbing routes. In the village, we will not fail to visit the ruins of the castle, castles Busqueilles and Roque-Maynard, fountains or the Romanesque St Peter’s Church.